Modern times make it possible to work at any given moment, and time independent work is one of the pillars of New Ways of Working (NWOW). Most of us regularly work into the night, or nab a few office hours on the weekend. But can we really consider this working time independently? Or is it just working more? To be successful at what we do and maintain a healthy work-life balance, we need to truly tackle time independent work. History has some great lessons to share when it comes to working smart. Geniuses like Mozart, Kant and Darwin are obviously renowned for their work, but their ways of working are just as interesting. What made them so successful? 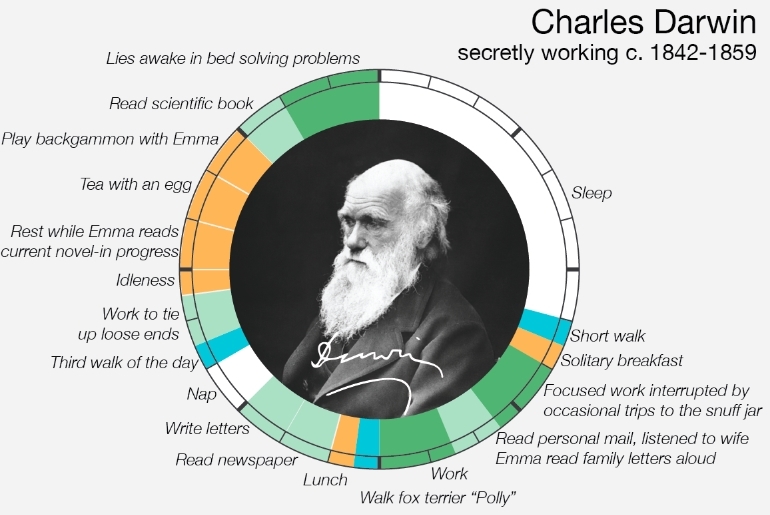 Looking at their creative routines below, it seems all three were masters at time independent work, and dividing their time and attention effectively. 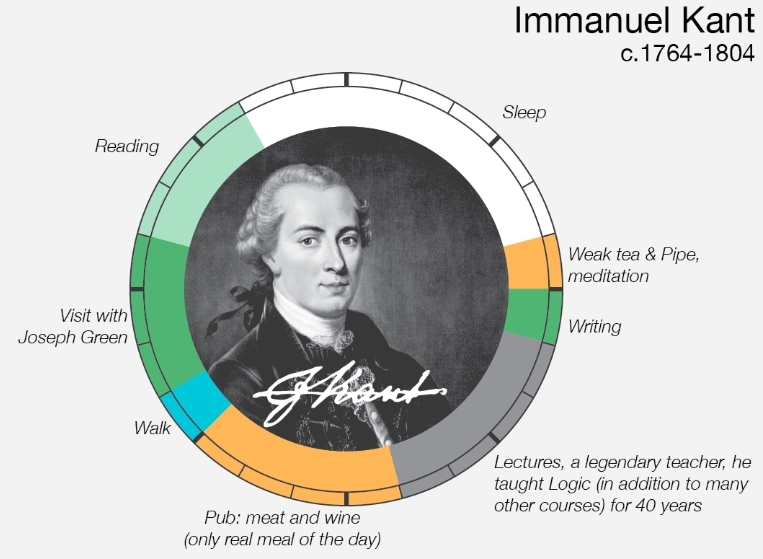 Find out what you can learn from Kant, Mozart and Darwin when it comes to daily routines: here are three genius tips to make the most of time independent work. Looking at the images, it is clear that each of the three daily routines is unique to the individual who created it. And this is our first tip: find your own unique daily routine – and make it work. Use your moments of focus for complex tasks that require your full attention. Exercise at a time that works for you. Do you do your best work in the dead of night? Allow yourself to sleep in until ten, or take an afternoon nap. 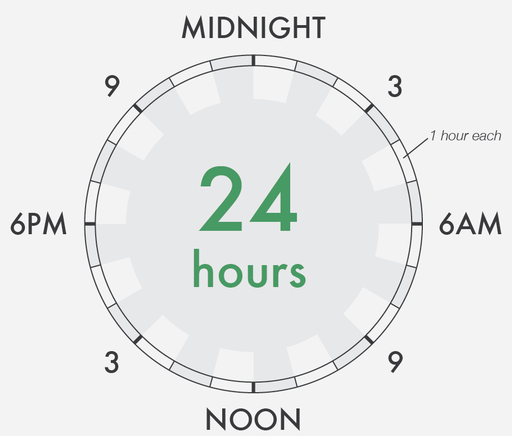 You are in charge: you decide how to divide your time throughout the day. 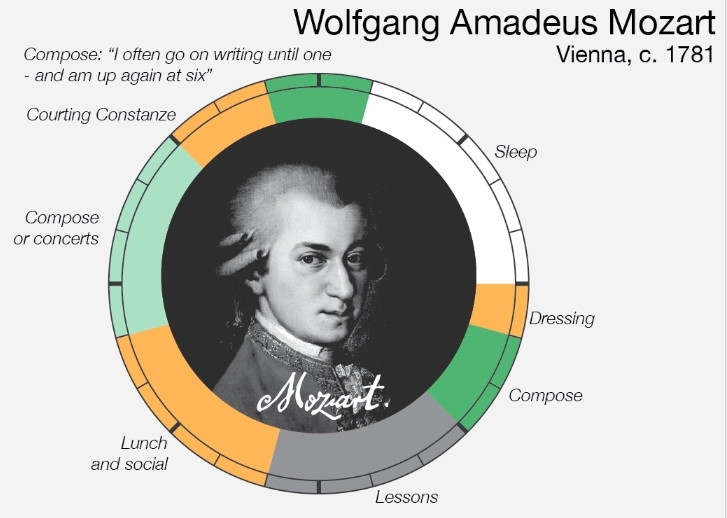 Darwin, Kant and Mozart all blend work and leisure – exertion and relaxation. Throughout the centuries, this so-called ‘work-life blend’ keeps recurring. It is about spending your time in an effective, fun way. For some people, this means exercising in the morning, meeting up with friends in the afternoon and fitting work in between. When you alternate exertion and relaxation, just like our geniuses, you will most likely have more time at your disposal. Relaxing creates a necessary distance from your work, which in turn quiets the mind – resulting in more mind space for a clear overview and fresh ideas. Moreover, most of us are more productive when taking well-deserved breaks rather than straining ourselves for hours on end. How can you translate these genius-approved tips and tricks of time independent work to your own working practice? 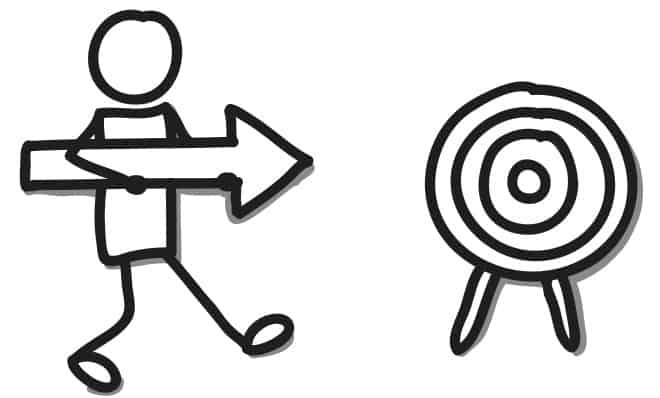 A good first step is to draw your own ideal work-life blend circle. What does it look like? Which parts are designated for work, and what happens in between? How do you divide your exertion and relaxation? From here, try to find the elements you can already put into practice. See if you can implement a new part of your ideal daily routine this week. And tell us more about your daily routines below. We’re curious! Saskia Langenberg is the founder of Mindshake. With consulting and coaching she helps managers to build great remote teams. And remote workers to have a happy and productive work-life.